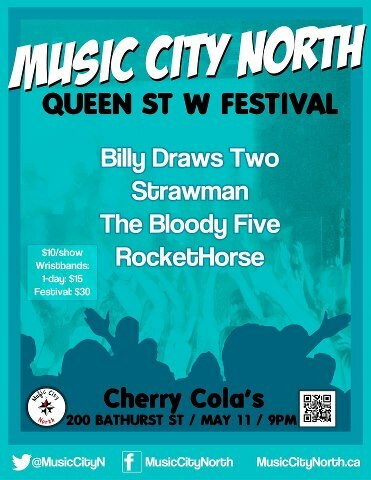 STRAWMAN will be on stage at Cherry Cola’s February 8th. Prepare to whip your hair more than Taylor Swift. Doors open at 9pm. 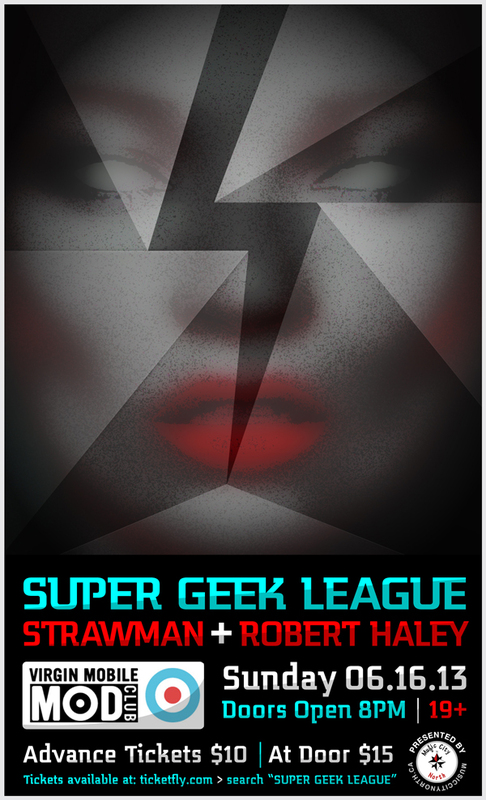 We’re playing the MOD CLUB this Sunday June 16. 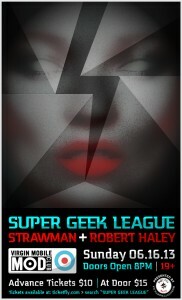 SUPER GEEK LEAGUE is the headliner! I hear there will be lots of surprises. Contact as for tickets! 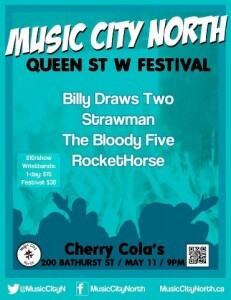 We’re performing at Cherry Cola’s as part of the the Music City North Queen St. Festival!